Can You Pay the Mortgage with Bitcoin? First off, I apologize for writing an article about bitcoin. I know it’s all the rage right now and I’m just adding to the hype, but it’s newfound relevancy warrants this post, maybe. As far as I know, all U.S. mortgage servicers only accept U.S. dollars for mortgage payments. So the simple answer would be no, you can’t use your bitcoin to pay the mortgage. But I have heard of third-party companies offering the service in the past, perhaps working as an intermediary between bitcoin holders and loan servicers. At that point though, you have to question what the benefit of such a service would be. If anything, it might just cost you money in conversion fees and so on. I’ve also heard of individuals buying real estate with bitcoin, but that’s a different story because it’s an agreement between buyer and seller, and it’s effectively a cash-alternative transaction. In other words, they’re probably buying a property outright with bitcoin as opposed to cash. No financing is taking place, nor is there any mortgage to speak of. Why Would Mortgage Lenders Accept Bitcoin? Another way of looking at it is why would mortgage lenders accept any type of non-USD currency for payment? First off, it would require a currency conversion into the currency related to the mortgage, which would be USD. And after all is said and done, you wouldn’t really be paying with bitcoin anymore. You’d be converting your bitcoins to USD, then sending them onto the lender. In that case, you could effectively pay your mortgage with bitcoin, but it would be a manual, indirect process. There are bitcoin wallets that allow bitcoin holders to sell their holdings, in part or in whole, and then withdraw the funds to their bank accounts. After doing so, the bitcoin holder would have U.S. dollars to use toward paying their mortgage. The only way a lender would probably be willing to accept bitcoins directly is if they saw some overwhelming value in the currency (if it’s a currency). And even then, it would be pretty doubtful given the infrastructure that would need to be in place, along with whatever compliance stuff would need to happen. As for the valuation issue, what would it be worth when it was applied to the mortgage? The bitcoin market is 24/7, nonstop action. It’s also pretty unpredictable, not to mention the many exchanges that value bitcoin differently at the exact same time. So it’d be really hard to nail down a value everyone agrees upon, at least at this juncture. 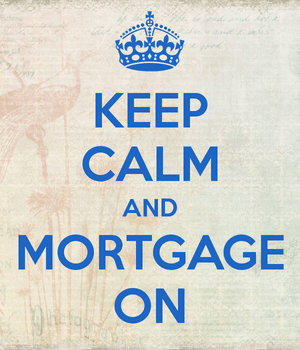 All that adds up to a lot of unnecessary cost and risk a lender just won’t want anything to do with. This is the same reason why you can’t send your mortgage lender bars of gold to pay the mortgage, or shoot them over a few shares of Amazon or Tesla stock every month to meet your obligations. Paying the mortgage in bitcoin would also complicate matters if and when you needed to document your payment history for a subsequent mortgage or refinance. Anonymity isn’t favored here. When it comes down to it, the lender is going to want to be paid in USD because there’s no second guessing its value. And there’s no currency conversion to worry about. However, that doesn’t mean you can’t pay the mortgage with a credit card. There are services that allow that because the transactions involve USD and typically involve a two-step process whereby you charge the desired amount with the payment processor, then they cut a check to the lender on your behalf in USD. Maybe there will come a time when this changes, but I doubt it’ll happen anytime soon. In the meantime, individuals are always free to sell investments and withdraw the cash proceeds and use them as they wish. 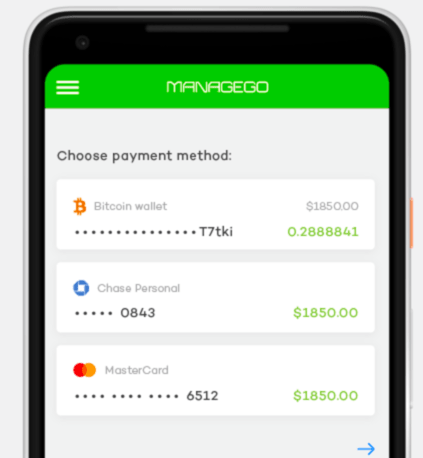 A company by the name of ManageGo is launching bitcoin rental payments soon. In fact, they’re even going to allow tenants to pay rent in Ethereum and Litecoin. But really, it’s just going to convert the rental payments to US dollars first, and then deposit them in landlords’ bank accounts. Tenants will apparently get an “instant conversion rate” that displays the exact amount in USD that needs to be sent to their landlord to cover the rent. And the landlord probably won’t care how they pay because by the time they get the money, it’ll be in USD. To that end, it sounds more like it’s facilitating the conversion of bitcoin to USD, not landlords truly accepting bitcoin. Is that truly accepting bitcoin? I don’t know. I think if and when mortgage lenders and landlords eventually accept actual bitcoin for payment, it could be a cost-saver and a quicker transaction, as opposed to sending a check or ACH.